After escaping the League, Sulan and her friends are granted entrance into the Dome, a utopian biodome in the wilderness of Alaska. Sulan soon finds herself a pawn in Global Arms’s political maneuvers to secure the national mercenary contract. Forced to put on a public persona that makes her skin crawl, she must charm Vex media moguls to further the cause of Global. Should she fail to embrace her new role as company spokesperson, the consequences will be deadly to everyone she loves. Meanwhile, the League unleashes a new deadly threat on the United States. 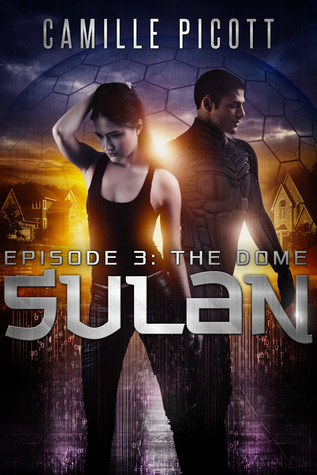 When Sulan and her friends stumble on the trail of a League mole within the Dome, they set out to track him down. Will they be safe in their new home, or will they find themselves trapped among enemies? Grab book 1 for FREE on Smashwords! With nothing but two hundred yards of grass between us and the nearest row of houses, there’s no way we can escape without being seen. At least they won’t catch us with the brining salt. Now we just need to come up with a good excuse for being out here together. In the middle of the night. I wonder if they’d believe we were just stealing chocolate from the kitchen? Taro turns to me, dark eyes intense. “Do you trust me?” he asks. “Of course,” I answer without thought. Before I know what’s happening, one of his arms wraps firmly around my waist. 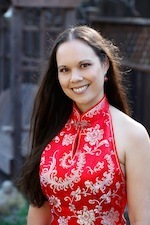 Taro draws me toward him in a rush, his other arm wrapping around my shoulders. My boot catches on a rock and I stumble into his chest. My cheek hits his sternum, right against his heart. It pounds against my jaw in a rapid rhythm. Even as my mind fumbles in shocked understanding, Taro places one hand under my chin. He tilts it upward and I find myself looking into his dark eyes. He leans over, his face stopping only an inch from mine. His eyes draw me in, pinning me in place. My brain goes all fuzzy. His closeness sends strange sensations through my body. My legs feel mushy and my heart beats too fast. He leans down, coming close, closer. Our noses touch, and my view of his eyes goes blurry. His lips brush mine. The touch is light, like a delicate bird landing on a branch. A shockwave goes through me. My legs lose what remains of their strength and go rubbery. I throw my arms around his neck to keep myself upright. He cinches his arms around me. The pressure of his lips on mine increases. My eyes slide close of their own volition. My mouth develops a mind of its own, moving against Taro’s with equal pressure. I lose all sense of place. Some distant, vague part of my mind tries to tell me something, but I can’t hear anything over the roaring of blood in my ears. The world narrows to consist of only Taro. His arms wind around me, holding me as if he never intends to let go. The strong muscles of his legs press against mine. My hands marvel at the strong tendons in his neck and the thick, spiky strands of his hair. And his lips. I drink in the sensation of him. Our kiss deepens, becoming rough. His tongue slides into my mouth. I inhale sharply in surprise, then strengthen my grip around his neck. I kiss him back, my tongue meeting his. A meteor is streaking through my bloodstream. I am on fire. Taro lifts me off the ground, squashing me against him. We kiss each other hard. He abruptly pulls away, breathing heavily. I blink in confusion, my breath rasping. With deliberate slowness, he sets me on my feet and takes several steps back from me. Even in the darkness, I see his flushed cheeks. The separation clears some of the fog from my brain. I stare, dumbfounded, at Taro. I look around, trying to recall where we are and what we were doing before the kiss.